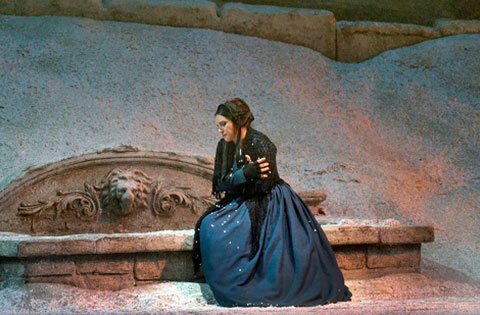 LA BOHEME – International Theatre Festival "Varna Summer"
Of special interest for the Bulgarian part of the millions of spectators of the Met Live in HD screenings will be the return of Sonya Yoncheva in the role of Mimì. She created a furor at the Met when she debuted in the role in 2014 only 5 weeks after giving birth to her son. After having worked together last season in “La Traviata”, Yoncheva is again partnered with Michael Fabiano, singing the role of Rodolfo. Together with Varna Summer International Music Festival and with the support of America for Bulgaria Foundation.